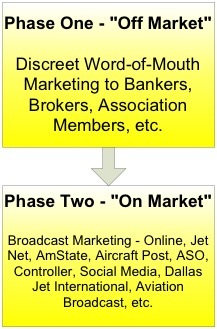 Comments Off on Why a Two-Stage Aircraft Marketing Process? 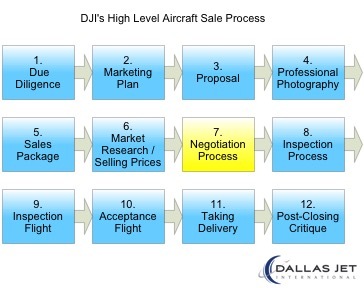 When a client engages Dallas Jet International (DJI) to sell an aircraft, we don’t always broadcast the news. In fact, many of our clients have good reasons NOT to have the availability or the sale of their aircraft a matter of public knowledge. In the aviation marketplace, certain sellers cannot advertise their aircraft due to competitive pressures, public perception, or privacy / personal security issues. Many of our clients, understandably, want to buy or sell an airplane, but do not want their name or their company featured in news items like this one. We work with each client, to create a plan for his or her specific timeframe and outcomes. If a client wishes to avoid publicity, we do our best to avoid it. In most cases, it’s best to employ a two-stage aircraft marketing process. Our Marketing Process is part of Step Seven in our High Level Aircraft Sale Process; after we’ve created a professional sales package and completed our market research. Our Two-Phase Aircraft Marketing Process often offers the best opportunity for a favorable outcome. DJI has a proprietary network of brokers, bankers, members of various associations, and other personal contacts developed over years of working in the industry. Effective “off-market marketing” requires a professional sales package that includes a brochure, specifications sheet, maintenance history, status, and professional photography. Of course, every situation and every aircraft is different, but we find that as much as 30% of the time, we find a buyer during Phase One, without ever publicly advertising the aircraft on a public website or classified service. 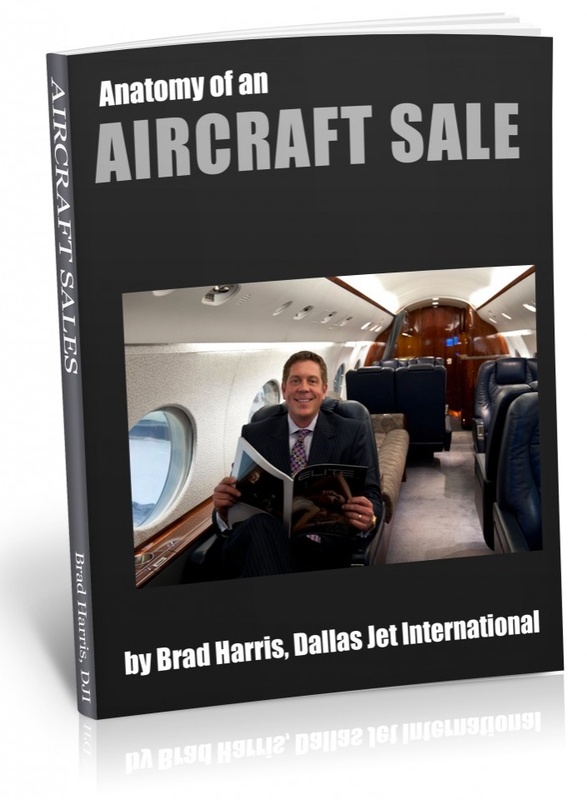 In fact, many of the buyers in our network prefer to purchase off-market aircraft. If the aircraft does not sell within the timeframe in our prospect’s plan, (usually a minimum of two weeks) and our client’s situation does not preclude advertising the airplane publicly, we have many options for extending visibility. Depending on our choice of a narrow or wide range of visibility, the options may include our website, www.DallasJet.com; the JetNet Aviation Market Intelligence service; the AmStat, Business Aviation Aircraft Market resource; the Aircraft Post; the Aircraft Shopper Online (ASO); Controller Magazine, social media outlets such as Facebook, LinkedIn, Twitter, and Google Plus, and Aviation Broadcast email broadcast service. It is important to select the appropriate advertising tools for the outcome that best meets our client’s needs in terms of time, price and discretion. To discuss the sale of your aircraft, please call our office at 817-520-4009 and let’s talk about your situation and objectives. You are currently browsing the Aircraft Sales Insights blog archives for December, 2014.